ONE of the hottest day's on the nation's social and sporting calendar is over, after the nation stopped yesterday for the running of the Melbourne Cup. While many argue there should be a public holiday for the great race, numbers at the Gladstone Turf Club and Harvey Road Tavern were healthy, as seasoned punters and one-off wagers watched Rekindling take the win at Flemington. Ferguson Park was the place to be for the morning, with the Gladstone venue hosting five races between 10am and midday, and a wealth of locally trained horses on show. Gladstone's Denis Schultz and Lee Kiernan had a combined six horses running in the day's events, with the Kiernan trained French Flame backing up after a second placing on Cox Plate day at the same venue. 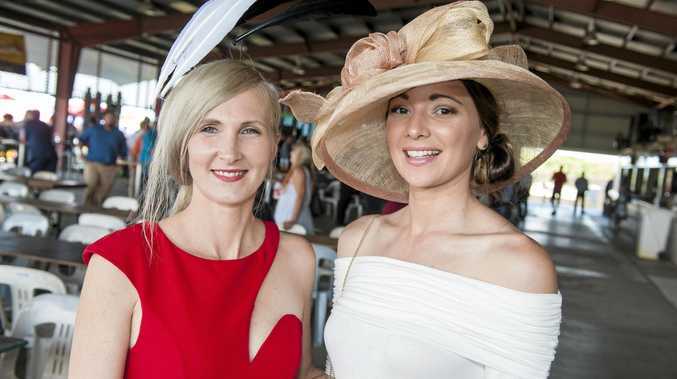 Fashions off the track were a talking point as always, with ladies and gentleman donning frocks and fascinators that wouldn't look amiss on a catwalk. Gladstone Turf Club president, David Weinert, said the day was a success. "We had a good crowd with plenty of tables and marquees booked, and everyone who came down certainly enjoyed themselves," he said. With the Ferguson Park activities wrapping up around midday, it was on to Harvey Road Tavern for the Melbourne Cup Luncheon, and the chance to watch the main race on the big screen. The lunch, for ticketed guests, featured a deluxe buffet and drinks. The crowd didn't disappoint, with the ladies and gentlemen dressing up with style. The big race featured in the sports bar and it was the place to be as punters cheered on their picks. With a big day out over, there's sure to be some sore heads around town today, as Melbourne Cup fever starts to evaporate.